Members of the Charter Board and Board of Ethics members must be City residents. The Board gives advice and processes complaints of potential violations of the Code of Ethics and conducts educational programs. Board members have an elevated duty to avoid conflicts of interests and may not hold or campaign for public office, hold office in any political party, organization or committee, may not be employed or appointed by any government, or actively participate or contribute to any campaign for City office. The Citizens Initiative Commission acts as a communication vehicle between City government and City residents on policies and issues related to neighborhood quality of life and economic health and can assist in an advisory capacity with any other community issues or programs. The Commission works to improve the overall effectiveness of local government by recommending policy changes, legislative recommendations, suggesting operational improvements, educating the general public on the mechanics of City government, as well as the status of major issues being addressed by City government. The Youth Commission is an advisory body to the Mayor, City Council, and Managing Director on issues of interest to youth and affecting youth and will directly participate in the government process. Members must be between the ages of 14 and 22 and may include students from Albright College, Alvernia University and Reading Area Community College. 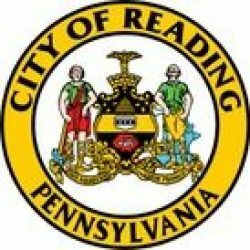 The Commission shall identify critical issues affecting youth in the City of Reading, provide advice and recommendations to City officials on issues affecting youth in the City of Reading, form subcommittees to allow for in-depth review of issues of interest to the Commission, and make its findings and recommendations available to City officials. For additional information, please call the City Clerk’s office at 610-655-6204 or email [email protected]. All interested citizens should complete the BAC application form found on the City’s website – www.readingpa.gov – and return it to the City Clerk’s office, 815 Washington St, Reading, PA 19601.